Street lighting is becoming more technical. No longer just a case of plonking in a 80W MV or a 250W MH or a 400W HPS brand name luminaire on the given height pole and Bob is your uncle. Now we need to know more detail such as required light levels, what the area looks like, what height poles are currently in place (for retro-fit projects) or can be put in place? As with the indoor lamps we have the freedom of fitting different beam angle lenses and so have infinitely more variations available. And don’t forget the fact that we can also play with the colour of the light. And we know the street lights (luminaires) are expensive but then more often than not they come with a 1 or 2 year warranty. Again something which has not been a standard in the lighting industry before. And did we mention the 50,000 hour L70 life span. In the following pages you will find 2 ranges of LED street lights that can be fitted as normal on the grid. 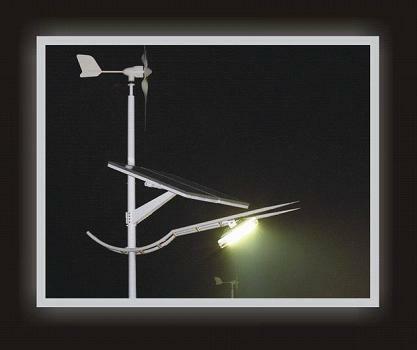 Additionally we have listed a range of street lights that are solar / wind power ready. These lights are ready to connect to either 12 or 24V solar / wind powered energy systems. Just add the solar panel / wind turbine, charge controller and battery bank. Please note that we have more ranges of street lights available, we have only listed a small selection here. Compact in design with a variety of lenses to give the correct spread of light. Works from 24V DC so is solar power ready. Luminaire consumes 12W of energy and with the 9o lens provides a beam of white light for 120 meters. All lights are as a minimum IP67 rated with some even rated at IP68 to a depth of 50 meters under water. If required can be interfaced with its own controller and remote control module. Similar to street lighting the new LED technology is causing consternation with regard to the energy savings possible using the new flood lights. Please contact us for information on Tunnel, and Canopy (forecourt) lights.